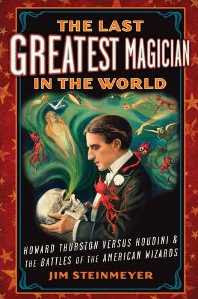 PAUL BISHOP ~ WRITER: THE LAST GREATEST MAGICIAN IN THE WORLD! THE LAST GREATEST MAGICIAN IN THE WORLD! JUST HEARD AN INTERVIEW WITH THE AUTHOR ON NPR, WHICH MADE THIS SOUND GREAT . . .